Chvrches is one of those buzz bands you've been reading about on all the hip blogs for about a year or so. Clearly they're really about to make it now that they're getting some ink on the less-than-hip blogs! The Scottish band is made up of smart people making smart music with the finest electronic equipment and production sensibility. Lauren Mayberry's vocals are infectious and flirtatious without being too cutesy. Think of a poppier Garbage or Depeche Mode with heavier synths and beats, or as NPR noted, "Chvrches opts for sprightly melancholy over the dour seriousness of its heroes." For those of you familiar with Sister Soleil you'll understand Chvrches. It is pure 80s electronic pop with a decidedly 21st century indie vibe punctuated by the goofily-spelled moniker (a deliberate attempt to bypass the ubiquitousness of the search term). I've been pleased so far that even with a name like Chvrches there is nary a monk chant to be heard. Dodged one there. The Mother We Share is the smash on The Bones of What You Believe, the debut full-length. It transcends genre and should've been the big summer hit on Top 40 as well as alternative radio. 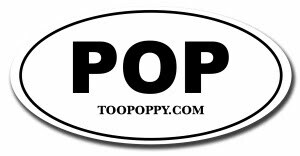 Of course we don't live in a Too Poppy world ... yet. I dare you to spin Mother two times and shake the melody and hooks. Talk about an earworm. The album is full of them, although I still consider Mother the high point. 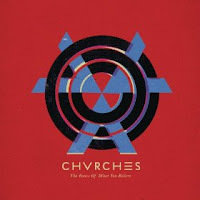 I was concerned the sound would get repetitive or boring spread out across a full album, but Chvrches has a story to tell and the tenacity to keep you engaged. This is more than just an 80s electro-pop retread. NPR is streaming The Bones of What You Believe in its entirety in the days leading up to its official release on September 24.